[center][url=http://www1.flightrising.com/forums/ann/2584085][img]http://flightrising.com/dropbox/communityupdate_w.png[/img][/url][/center] Hello again! It's been...awhile...since our last Community Update. So let's get right to it! [center][b][url=http://www1.flightrising.com/forums/ann/2584085]Some housekeeping, announcements, recaps, and more[/url]! [/b][/center] [more] [br] ----- [center][I][url=http://www1.flightrising.com/forums/ann/2584085/1#post_36619228]Click here to go straight to the Night of the Nocturne 2017 Theme Week spotlight and flight festival recaps! [/url][/i][/center] [b][size=5]Forum Report Feature[/size][/b] If you’ve ever reported an account for spamming or abusive posts or behavior, thank you! Your diligence reporting these incidents has helped maintain a positive forum experience for both you and your fellow players. [b]When reporting inappropriate usernames to us,[/b] please take an additional moment to [b]clarify in the comment field[/b] why you are reporting the name. Sometimes the violation is clear-cut, sometimes it is not, [b]sometimes the username is fine and the report actually has nothing to do with the player’s account name at all. [/b] [center][I]Ahem. [/I] [img]http://flightrising.com/dropbox/weary-wee-baby-jake.png[/img][/center] On a final forum report feature note, [b]using it to target someone[/b] [i](ex: organizing your friends or a group to report someone)[/i], [b]“jump the queue”[/b] [i](ex: deliberately selecting a different category in order to get it seen faster)[/i], [b]or in retaliation[/b] [i](ex: rapidly reporting multiple players after receiving a penalty yourself)[/i] [b]is considered abuse of the system[/b]. We understand it might be tempting but it's best to refrain from doing that. Making false reports or otherwise trying to abuse the system can lead to your account being penalized. [br] ----- [br] [b][size=5]Welcome, new mods! [/size][/b] You may have already seen them moving about the forums, but please give a warm welcome to our two newest volunteer moderators, @Nazmiye and @Peixes! 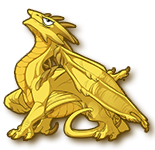 [br] [center][img]http://flightrising.com/rendern/portraits/184467440737095520/18446744073709551577p.png[/img] [img]http://flightrising.com/rendern/portraits/184467440737095520/18446744073709551578p.png[/img][/center] [b][size=4]What are volunteer moderators? What do they do? [/size][/b] Volunteer moderators help out around the forum with thread moderation. They can move, lock, sticky, and edit threads/posts. Volunteers do not have the ability to penalize an account, view/access private player information, or make game-play and development decisions. If you'd like to apply to be a volunteer forum moderator, check out our [b][url=https://flightrising.zendesk.com/hc/en-us/articles/115005292486-What-are-volunteer-moderators-What-do-they-do-]Knowledge Base article[/url][/b] for more information on our expectations and eligibility requirements. [br] ----- [br] [size=5][b]Coming Soon: Frigidfin Expedition[/b][/size] [center][img]http://flightrising.com/dropbox/logo_frigidfin.png[/img][/center] After the success of last autumn's [url=http://www1.flightrising.com/forums/ann/2524667][b]Drakeharvest[/b][/url], we'll soon be launching our next food-themed [b]microholiday[/b]: the [b]Frigidfin Expedition[/b]! Where Drakeharvest focused on plant food, Frigidfin Expedition's main export will be [b]seafood[/b]. We learned a few things from the last microholiday, and we'll be making the [b]following changes[/b]: [list][*]Many players communicated that they were not able to participate in Drakeharvest because it ran only during the week, so we'll be running the event so that it includes a [b]weekend[/b] this time. Frigidfin Expedition will be active from [b]Thursday, December 13th[/b] (06:00) to [b]Monday, December 17th[/b] (06:00). [*]We received some feedback that while the extra plant food was nice, it was somewhat hard to "feel" the effects of the increased drops since food already dropped fairly frequently to begin with. For Frigidfin Expedition, [b]all enemies across all venues[/b] will have a chance to drop some special microholiday-themed seafood items in addition to their normal loot pools. This should make it so that stocking up on seafood feels more meaningful/lucrative, no matter what enemies you're choosing to fight. [/list] As with Drakeharvest, all [b]experience gains[/b] in the Coliseum will be [b]increased by 50%[/b] for the duration of the microholiday, so in addition to grabbing some extra seafood items, you can level up some dragons! We'll also have a pair of brand new [b]familiars[/b] to collect. Rather than spoil them now, however, you'll just have to wait and see! [br] ----- [br] [b][size=5]Fan Art Fridays[/size][/b] For our social media communities, we've introduced Fan Art Friday on [b][url=https://twitter.com/FlightRising]Twitter[/url][/b] and [b][url=http://flightrising.tumblr.com/]Tumblr[/url][/b]! Based on community participation and interest, we will be expanding to other platforms in the future! [b][size=4]How to Participate[/size][/b] Include [b]the #FRFanArt tag[/b] when you post your art. [b][size=4]Why use the hashtag? [/b][/size] Using this hashtag also communicates to us that [b]it is okay to share/retweet/or possibly spotlight[/b] your work! When we're getting ready for our next Community Update, you'll be contacted by a [i]Flight Rising[/i] team member, usually as a reply to the art post we'd like to spotlight. Alternatively, you can include your username somewhere in the post or fanart. Doing this means you won't have to keep an eye out for any replies or reblogs! [b]If your fanart makes it into a Community Update,[/b] we will credit you with your [I]Flight Rising[/I] username and a direct link to the art piece itself. While we may not be able to share all posted fan art, using #FRFanArt is also a way to show off your fan art to new people and fellow players when they browse the tag. [b][size=4]Why Social Media? [/size][/b] There are many of our players who don't visit the forums, just waiting to be engaged. In addition to FRFanArt on Twitter and Tumblr, we highly recommend checking out the many beautiful pieces of art made by our community on the [url=https://flightrising.deviantart.com/][b]Flight Rising Deviantart Group[/b][/url]. [b][size=4]Fan Art Friday Spotlight! [/size][/b] Click on the preview to see the full image! [indent][columns][center] [url=https://desukate.tumblr.com/post/180586156096/one-from-my-lovely-dragons-character-from-fr][img]http://flightrising.com/dropbox/TumblrDesuKate.png[/img][/url] [b]@DesuKate[/b][/center][nextcol][nextcol][nextcol][nextcol][nextcol][nextcol][nextcol][nextcol][nextcol][nextcol][center] [url=https://doog87.tumblr.com/post/180175931052][img]http://flightrising.com/dropbox/TumblrDoog87.png[/img][/url] [b]@Doog87[/b][/center][nextcol][nextcol][nextcol][nextcol][nextcol][nextcol][nextcol][nextcol][nextcol][nextcol][center][url=https://neflovira.tumblr.com/post/179530261122/under-water][img]http://flightrising.com/dropbox/TumblrNeflo.png[/img][/url] [b]@Neflo[/b][/center][/columns][/indent] [indent][columns][nextcol][center][url=https://twitter.com/Absolem0/status/1060991823177531398][img]http://flightrising.com/dropbox/TwitterAbsolem0.png[/img][/url] [b]@absolem0[/b][/center] [nextcol][nextcol][nextcol][nextcol][nextcol][nextcol][nextcol][nextcol][nextcol][nextcol][center][url=https://twitter.com/CyberneticSpud/status/1053449861763260416][img]http://flightrising.com/dropbox/Twitter_PotatoBuns_48726.png[/img][/url] [b]@PotatoBuns[/b][/center] [nextcol][nextcol][nextcol][nextcol][nextcol][nextcol][nextcol][nextcol][nextcol][nextcol][center][url=https://twitter.com/Retro_Hoodie/status/1052031886720143362][img]http://flightrising.com/dropbox/TwitterAutumnBird.png[/img][/url] [b]@AutumnBird[/b][/center] [/columns][/indent] [indent][columns][center][url=https://twitter.com/LoucaraLou/status/1049931064355913729][img]http://flightrising.com/dropbox/TwitterLouca.png[/img][/url] [b]@Louca[/b][/center] [nextcol][nextcol][nextcol][nextcol][nextcol][nextcol][nextcol][nextcol][nextcol][center][url=https://twitter.com/AudreyChu/status/1049086334239825920][img]http://flightrising.com/dropbox/TwitterZekrio.png[/img][/url] [b]@Zekrio[/b][/center] [nextcol][nextcol][nextcol][nextcol][nextcol][nextcol][nextcol][nextcol][nextcol][nextcol][nextcol][center][url=http://xayah-fr.tumblr.com/post/180398568300/if-fr-thinks-it-can-stop-me-just-because-i-failed][img]http://flightrising.com/dropbox/TumblrXayah.png[/img][/url] [b]@Xayah[/b][/center] [/columns][/indent] [br] ----- [br] [b][size=5]Reminder[/size][/b] [b]The [I]Night of the Nocturne[/I] 2018 event will start at 06:00 server time on December 23, 2018. [/b] Continue scrolling to see the theme week spotlight for the 2017 [I]Night of the Nocturne[/I] and first part of the 2018-2019 festival recaps! Hello again! It's been...awhile...since our last Community Update. So let's get right to it! Some housekeeping, announcements, recaps, and more! Click here to go straight to the Night of the Nocturne 2017 Theme Week spotlight and flight festival recaps! If you’ve ever reported an account for spamming or abusive posts or behavior, thank you! Your diligence reporting these incidents has helped maintain a positive forum experience for both you and your fellow players. When reporting inappropriate usernames to us, please take an additional moment to clarify in the comment field why you are reporting the name. Sometimes the violation is clear-cut, sometimes it is not, sometimes the username is fine and the report actually has nothing to do with the player’s account name at all. On a final forum report feature note, using it to target someone (ex: organizing your friends or a group to report someone), “jump the queue” (ex: deliberately selecting a different category in order to get it seen faster), or in retaliation (ex: rapidly reporting multiple players after receiving a penalty yourself) is considered abuse of the system. We understand it might be tempting but it's best to refrain from doing that. Making false reports or otherwise trying to abuse the system can lead to your account being penalized. You may have already seen them moving about the forums, but please give a warm welcome to our two newest volunteer moderators, @Nazmiye and @Peixes! Volunteer moderators help out around the forum with thread moderation. They can move, lock, sticky, and edit threads/posts. Volunteers do not have the ability to penalize an account, view/access private player information, or make game-play and development decisions. If you'd like to apply to be a volunteer forum moderator, check out our Knowledge Base article for more information on our expectations and eligibility requirements. After the success of last autumn's Drakeharvest, we'll soon be launching our next food-themed microholiday: the Frigidfin Expedition! Where Drakeharvest focused on plant food, Frigidfin Expedition's main export will be seafood. Many players communicated that they were not able to participate in Drakeharvest because it ran only during the week, so we'll be running the event so that it includes a weekend this time. Frigidfin Expedition will be active from Thursday, December 13th (06:00) to Monday, December 17th (06:00). We received some feedback that while the extra plant food was nice, it was somewhat hard to "feel" the effects of the increased drops since food already dropped fairly frequently to begin with. For Frigidfin Expedition, all enemies across all venues will have a chance to drop some special microholiday-themed seafood items in addition to their normal loot pools. This should make it so that stocking up on seafood feels more meaningful/lucrative, no matter what enemies you're choosing to fight. As with Drakeharvest, all experience gains in the Coliseum will be increased by 50% for the duration of the microholiday, so in addition to grabbing some extra seafood items, you can level up some dragons! We'll also have a pair of brand new familiars to collect. Rather than spoil them now, however, you'll just have to wait and see! For our social media communities, we've introduced Fan Art Friday on Twitter and Tumblr! Based on community participation and interest, we will be expanding to other platforms in the future! Include the #FRFanArt tag when you post your art. Using this hashtag also communicates to us that it is okay to share/retweet/or possibly spotlight your work! When we're getting ready for our next Community Update, you'll be contacted by a Flight Rising team member, usually as a reply to the art post we'd like to spotlight. Alternatively, you can include your username somewhere in the post or fanart. Doing this means you won't have to keep an eye out for any replies or reblogs! If your fanart makes it into a Community Update, we will credit you with your Flight Rising username and a direct link to the art piece itself. While we may not be able to share all posted fan art, using #FRFanArt is also a way to show off your fan art to new people and fellow players when they browse the tag. There are many of our players who don't visit the forums, just waiting to be engaged. In addition to FRFanArt on Twitter and Tumblr, we highly recommend checking out the many beautiful pieces of art made by our community on the Flight Rising Deviantart Group. Click on the preview to see the full image! The Night of the Nocturne 2018 event will start at 06:00 server time on December 23, 2018. Continue scrolling to see the theme week spotlight for the 2017 Night of the Nocturne and first part of the 2018-2019 festival recaps! During the 2017 Night of the Nocturne event, we ran a special theme week. This was a two-week theme based on a (non-canon!) lore short story and writing prompt. Below are just some of the submissions from your fellow players. We enjoyed reading them and we hope you do, too! Dragon Share Theme Week is a weekly event in our Dragon Share forum. The theme changes every Monday, stickied in the Dragon Share forum, and the new theme is typically announced in our Site Status box on the front page. Is it a contest? Are there prizes? To put it simply, no. Theme Week is designed to be a low-pressure event for players to show off their dragons with other like-minded players. We do have a spotlight for each week, announced in the companion discussion thread for the current theme. Spotlights are random. As long as the shared dragons fit the theme and don't exceed that week's maximum number of dragons, a player is eligible for the spotlight! Theme Weeks are meant to be lighthearted fun. They are not a part of our development cycle, with the sole exception of themes complementing a release (such as The Bogsneak Mutagen) and monthly elemental Festivals. But half my Lair fits the theme! Choose wisely. Besides, you never know when a particular theme will roll back around! For those new to Flight Rising, back when we first opened the community created the tradition of celebrating a Flight’s holiday by putting on a site-wide organized event. These events are characterized by a “hub” posted in the Flight Rising Discussion forum. Here players share and celebrate their Flight with their fellow players and provide a digest of links and mini-events happening around the site. Our July 2018 Community Update covered the 2017-2018 Crystalline Gala through Greenskeeper Gathering. Today we’ll cover the 2018-2019 Brightshine Jubilee through the Rockbreaker's Ceremony! Given the depth and breadth of the events, it’s not always possible to recap every mini-event held. Please take the time to check out each hub to see everything Light, Lightning, Fire, Arcane, Plague, and Earth had to offer their fellow players this year! All events listed below have completed. A coloring competition where participants can color or “frost” a cake template according to the theme of that day. Three different couples have put in three different orders for wedding cakes, but their precise orders have been lost. Players must match the correct couple to the correct cake using provided clues! and restrictions will make things more interesting. Who doesn't love to brew things up? Everyone in Arcane loves using Baldwin and we also love our familiars! Do you love your familiars too? Then this is the perfect event for you! Come in and join in on this small roleplaying event where you brew with your familiars! This is run by the fantastic Argante and runs only during the week of Starfall festival. Come one and all and join in with the costume contest! Every day for the week of the Starfall Festival, a new theme will be announced and it is your turn to dress up a dragon to fit said theme! There are prizes, a raffle, and nice badges as well! This event is run by the awesome Lundlaeva. Fight through the coliseum and log the special items you find, earn points towards a prize! Compete against other germs to earn the most profits! Want art and have fodder to spare? Scrimshaw Scrawls is here for you! Artists of various crafts offer their wares in return for leveled fodder. All flights welcome - and for this special RoR run, Plaguelings included! Don’t like getting dirty? Costume contest got you covered! Solve puzzles and quiz your brain along the way! Visit the Teahouse and join the Cooking Contest! Congrats to the new mods as well!